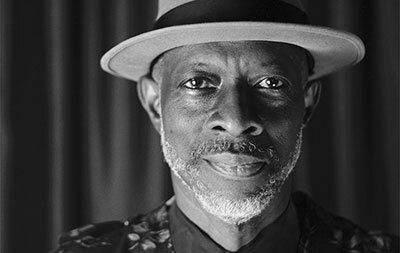 Seats are still available for three-time Grammy winner and visionary roots-music storyteller Keb' Mo' who performs at the Bing tomorrow night, Thursday, July 30 at 7:30pm. But you'd better hurry, they're going fast. Contact Ticketswest right now at www.ticketswest.com or 800-325-SEAT. 'Seussical the Musical,' a show for the whole family, is on the main stage at Spokane Civic Theatre now through Sunday, August 2. 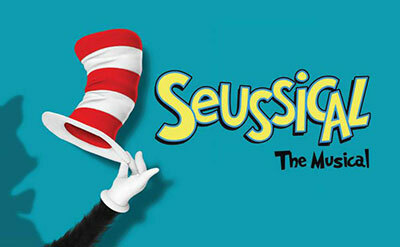 Curtain times are Wednesday through Saturday 7:30pm, and Sunday 2:00pm. Go to www.spokanecivictheatre.com for more information and tickets. 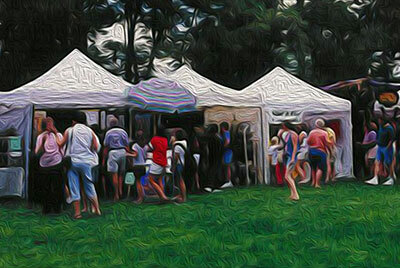 Join in the celebration of art, creativity and friendship at the 47th Annual Art on the Green this Friday, July 31 through Sunday, August 2 at the North Idaho College campus in Coeur d'Alene. A marketplace, performance space and a gathering place for friends and families, this yearly event is the highlight of the summer in Coeur d'Alene. Art on the Green is held at the old Fort Sherman Grounds on the North Idaho College Campus, just a short walk from Downtown and City Park. Shuttle bus service to the west side of the NIC campus from downtown is also available during the festival. No dogs are allowed at Art on the Green. Rock 'n' roll powerhouse, Lynyrd Skynyrd, along with the Marshall Tucker Band, plays the outdoor stage at Northern Quest Friday, August 7 at 7:30. Go to northernquest.com for your tickets. Also on Friday, August 7, The Festival at Sandpoint presents Grammy Award winning reggae and world music icon Ziggy Marley, the oldest son of the late reggae legend Bob Marley. It's a dance show, so be ready to boogie. Go to festivalatsandpoint.com for more information and tickets. Thursday, August 6 through Sunday, August 23, Coeur d'Alene Summer Theatre presents 'Shrek the Musical' at the Kroc Center in Coeur d'Alene, bringing all the much-loved DreamWorks characters to life. This show will appeal to all ages. Get your tickets and more information at www.cdasummertheatre.com. This Friday, July 31, Kevin Schibel will perform a free concert at the Park Bench Cafe in Manito Park. Concert runs from 6-8pm, and food and beverages are available for purchase, including beer from No-Li Brewhouse. The Park Bench Cafe is open 7 days a week for the season. The Northwest Museum of Arts & Culture presents the Saranac Art Projects' first MAC exhibit, now through September 20. Sixteen local contemporary artists are displaying their work, and many of the pieces will be for sale. Saranac Art Projects is a non-profit artist cooperative designed to support and educate artists and their communities while inspiring a vibrant contemporary art culture in the Inland Northwest. The Spokane Indians baseball club host Eugene for four home games tonight through Sunday, August 2 at Avista Stadium. Wednesday through Friday games are at 6:30, the Sunday game is at 3:30. Then on Tuesday, August 4, the Northwest League plays the Pioneer League in an All Star game at 7 pm. Get your seats by calling 509-343-OTTO (6886). Tomorrow, July 30, enjoy the sounds of Spare Parts, performing old favorites. Mosaics by Kerry Whitsitt will be on display. Thursday concerts are free and run from 5:30-7:30. This Sunday, August 2, David Raitt and the Baja Boogie Band will play legendary blues from 5:30 to sunset. Cost is $8. Grab your picnic baskets either night and enjoy an evening of great music and great wine in a beautiful setting, Arbor Crest Wine Cellars is located at 4705 N Fruit Hill Rd in Spokane Valley. Visit arborcrest.com. The summer beer, food and music event returns for the third time this summer with an 'Island Beach Party' theme. Attendees will be treated to a bottomless barbecue buffet from 5-9 pm, as well as specials on drinks like Corona, Bud Light Lime, tequila and Malibu Rum. In addition, there will be live music by Milonga from 7-10 pm. Tickets can be purchased for $17 at the door or online at www.CDACasino.com. Slipknot made the Bucket List and they are coming! They were voted onto The Arena's Bucket List, and now Slipknot will make a stop in the Lilac City during the Spokane Arena's 20th Anniversary Season. Slipknot will take the stage at the Spokane Arena on Tuesday, October 20 with Suicidal Tendencies and Beartooth. Tickets are on sale this Friday, July 31 starting at 10am at the Arena Ticket office, 720 West Mallon or through Ticketswest, at www.ticketswest.com or 800-325-SEAT. This year's Spokane Highland Games will be at the Spokane County Fair & Expo Center this Saturday, August 1 from 9am to 5:30pm. Bring your family and friends for a charming Scottish day-adventure full of entertainment, feats of triumph, and fun activities. Enjoy the traditional features of Scottish Highland Games, such as massed bands, pipe band exhibitions, individual piping, heavy athletics and highland dancing. There are also children's games where they can take their turn at the Caber Toss and 'Shoot the English Knight'! Enjoy this and much more! For admission prices, visit www.spokanehighlandgames.org.